Blurb: What secrets are hiding in the heart of Paris? 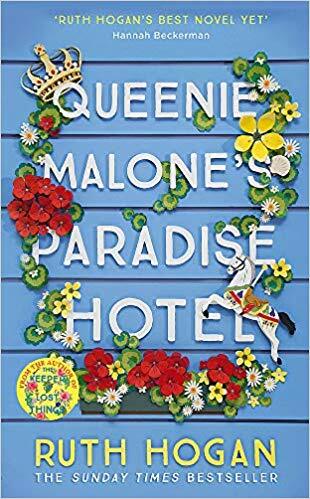 Review: I love historical fiction, Paris and baking (and baked treats) so I was not surprised that I enjoyed this read so much. Laura Madeleine's debut takes us to Paris in 1909 and her detailed descriptions of the different neighbourhoods, their buildings and its people paint a clear and easy to imagine picture of how the city of love must have been back then. In Paris we meet Gui, a young man from the country that travels to the city with a good friend to find work and be able to send some money back to his mother. The two friends start working for the railways but soon Gui finds himself in a total new environment. After meeting the beautiful daughter of the owner of one of Paris renowned Patisseries, he manages to find a job in its ovens and as he falls in love with the young girl, he also finds another passion: baking the most extraordinaire creations. But the story not only takes place in Paris at the beginning of the century. Many decades after, Petra discovers that her beloved grandfather, a famous British historian, was involved in a scandal in Paris back then. Something he had kept as a secret all his life. But what is the connection between these two stories? This mystery kept me glued to the pages of The Confectioner's Tales for hours. I wanted to know what had happened back then that had hunted somebody's life so much. It was actually not that big of a scandal at th end but I certainly enjoyed finding out. 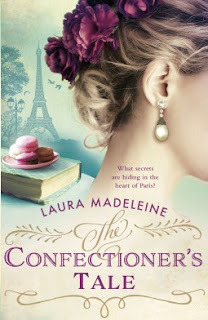 The Confectioner's Tale is a well crafted story with a beautiful setting. I could totally picture myself in a patisserie in Paris eating some macaroons while people watching. It's a story that entertains, keeps you wondering and makes you part of it. What else can you ask for? I read this just before Christmas and also really enjoyed it. Another great review.